Next-Generation Sequencing has made available substantial amounts of large-scale Omics data, providing unprecedented opportunities to understand complex biological systems. Specifically, the value of RNA-Sequencing (RNA-Seq) data has been confirmed in inferring how gene regulatory systems will respond under various conditions (bulk data) or cell types (single-cell data). 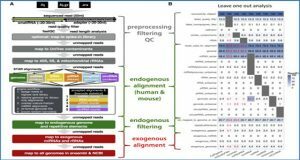 RNA-Seq can generate genome-scale gene expression profiles that can be further analyzed using correlation analysis, co-expression analysis, clustering, differential gene expression (DGE), among many other studies. While these analyses can provide invaluable information related to gene expression, integration and interpretation of the results can prove challenging. 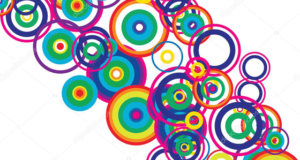 Cornell University researchers present a tool called IRIS-EDA, which is a Shiny web server for expression data analysis. 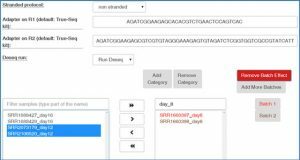 It provides a straightforward and user-friendly platform for performing numerous computational analyses on user-provided RNA-Seq or Single-cell RNA-Seq (scRNA-Seq) data. 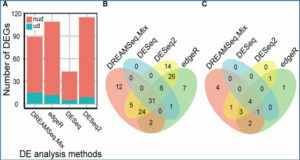 Specifically, three commonly used R packages (edgeR, DESeq2, and limma) are implemented in the DGE analysis with seven unique experimental design functionalities, including a user-specified design matrix option. 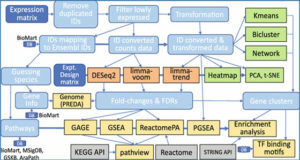 Seven discovery-driven methods and tools (correlation analysis, heatmap, clustering, biclustering, Principal Component Analysis (PCA), Multidimensional Scaling (MDS), and t-distributed Stochastic Neighbor Embedding (t-SNE)) are provided for gene expression exploration which is useful for designing experimental hypotheses and determining key factors for comprehensive DGE analysis. 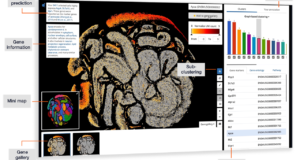 Furthermore, this platform integrates seven visualization tools in a highly interactive manner, for improved interpretation of the analyses. It is noteworthy that, for the first time, IRIS-EDA provides a framework to expedite submission of data and results to NCBI’s Gene Expression Omnibus following the FAIR (Findable, Accessible, Interoperable and Reusable) Data Principles. 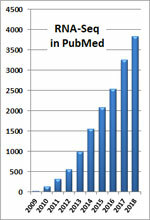 IRIS-EDA is freely available at http://bmbl.sdstate.edu/IRIS/.